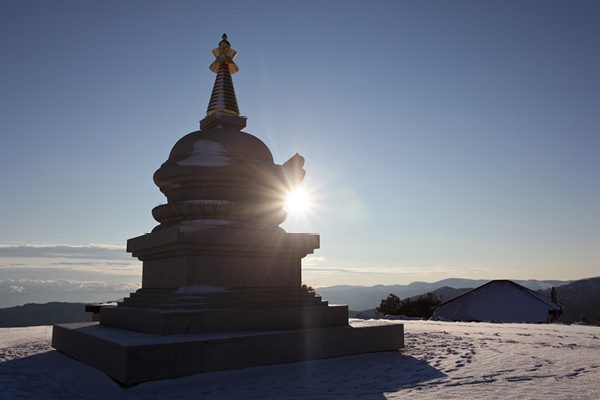 Karma Berchen Ling (KBL) is a meditation and retreat center of the Karma Kagyu Lineage of Diamond Way Buddhism. The place is under the spiritual patronage of His Holiness the 17th Karmapa Thaye Dorje, and Lama Ole Nydahl. 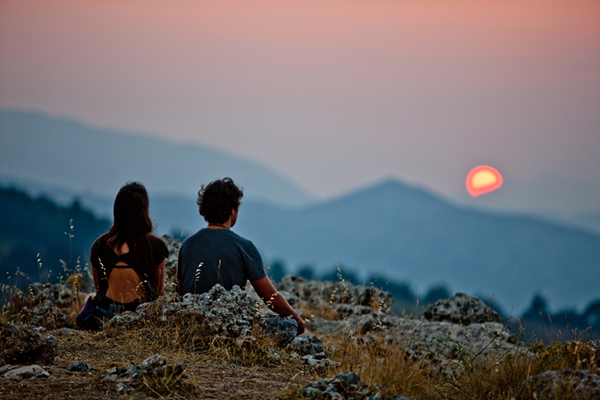 KBL is located in Greece on the sunny and windy mountains of the Peloponnese. It is an ideal place for meditation and retreats. 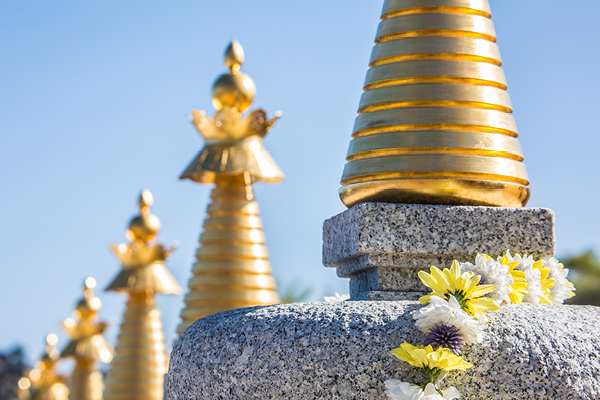 In KBL stands one of the very rare Kalachakra Stupas. 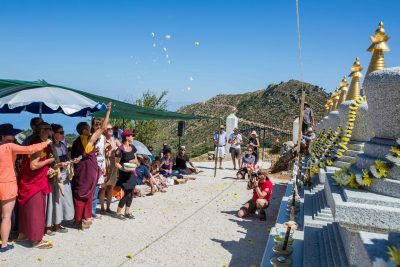 It was inaugurated in 2010 by Lama Chogdrup Dorje and Lama Ole Nydahl. 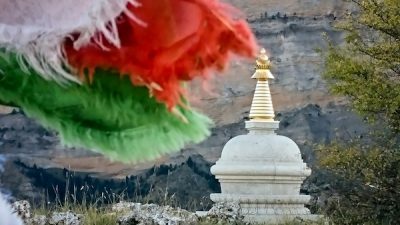 Since 2017, you will find all eight Non-Tantric Stupas in KBL. 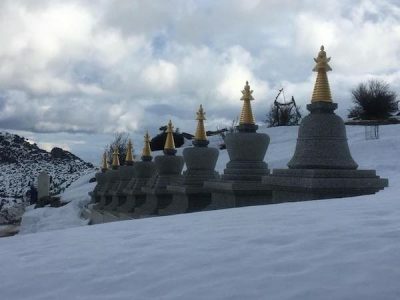 They were built and inaugurated by Lama Chogdrup Dorje. We send a newsletter from time to time with activity updates. If you would like to participate, please join the list!